We know that your car (for many) is your pride and joy for others an essential part of day to day life. Regardless of how you feel though, it's peace of mind that everyone want assurance of. So for those who have never been. Here is a quick video to let you see our set up. We hope you like it as much as we do. Our service department go beyond Suzuki! 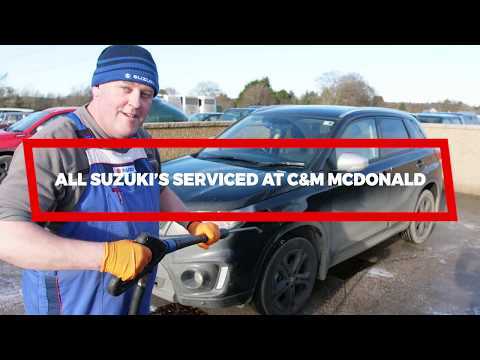 Some are surprised when they learn that at C&M McDonald we do far more than just service Suzuki's. We do of course service and repair all makes and models of cars. 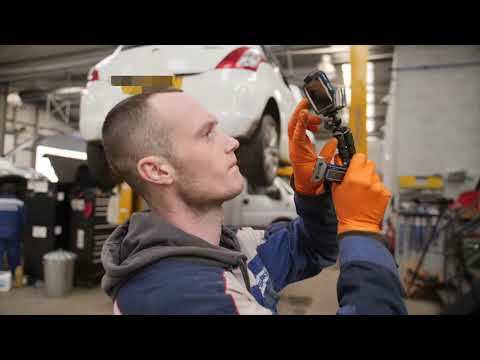 What you might not know though is that to increase trust and let you see exactly what is going on with your vehicle - we will send you a video report via email so you can hear from our team first hand, what work needs to be carried out. We know how important transparency is, well... this is just part of our promise. We love our work.... all of us! This is Andy, who along with Ian take great pride in their work preparing all our used stock ready to be put on the forecourt, as well as providing an incredible job and having any Suzuki brought in for a service to be looking at its best. Another reason why people choose C&M McDonald, Suzuki. 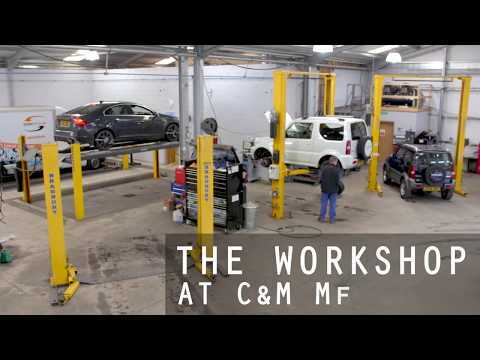 At C & M McDonald we offer vehicle servicing and MOT's (including Class 7) at great prices. We also supply and fit tyres and exhausts and can carry out all types of vehicle repairs. We have courtesy cars available if required or offer a local collection and delivery service. Call our service department today for more details.